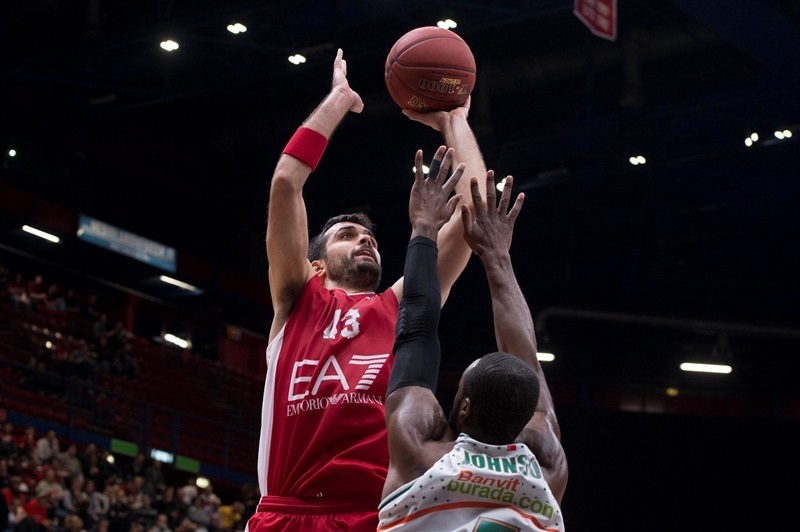 EA7 Emporio Armani Milan rallied from a double-digit deficit to down Banvit Bandirma 79-76 in Game 2 of the eighthfinals, and with a two-game series sweep and a 6-point aggregate win move to the Eurocup quarterfinals. 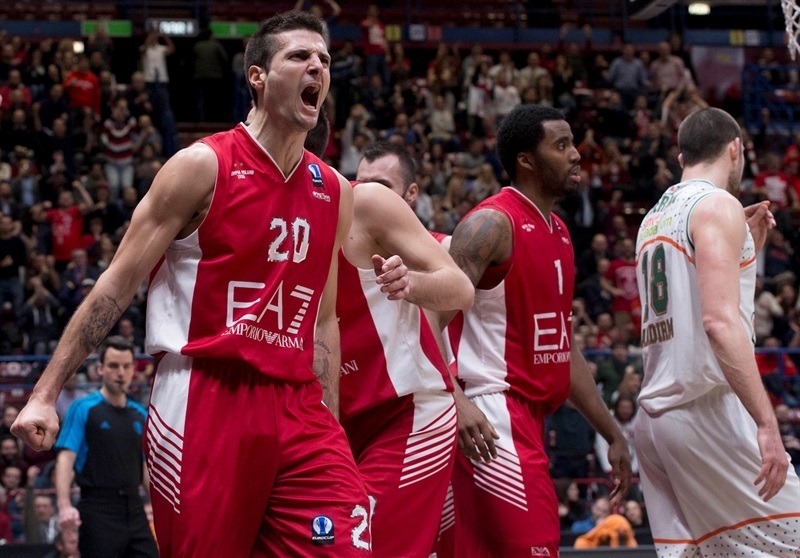 Milan edged Banvit 79-82 on the road a week ago, and won the series by a total score of 161-155, claiming a place in the next round where it will play fellow Italian side Energia Dolomiti Trento. Banvit jumped ahead early, led by double-digits in the first quarter, held 41-47 at halftime, then extended the margin to 12 points early in the third quarter. 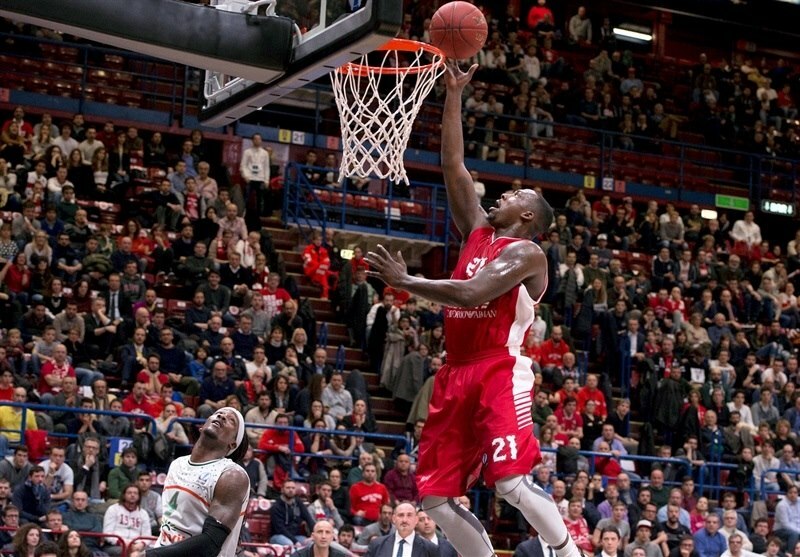 But Milan quickly raced back, regained the lead in the fourth quarter, and kept Banvit in check as the game went down the stretch. The hosts used a series of free throws in the final minute to seal the deal as Jamel McLean paced the winners with 16 points and 7 rebounds. 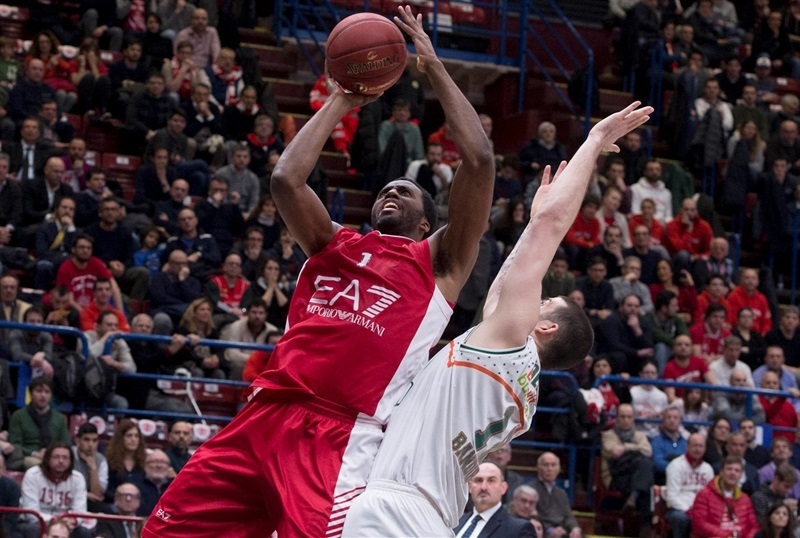 Oliver Lafayette netted 15, Krunoslav Simon scored 13, and Rakim Sanders had 12 for Milan. 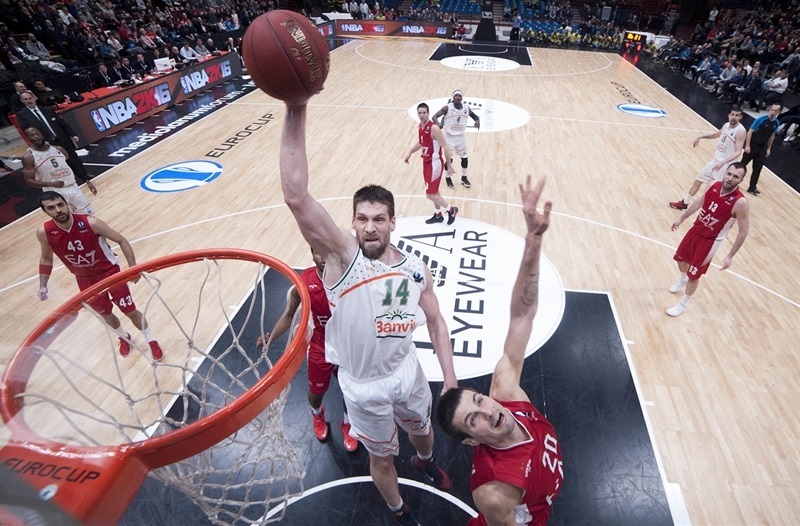 Adrien Moerman was Banvit’s top scorer with 18 points and 8 rebounds. Dominique Johnson had 16 points, while Courtney Fortson collected 10 points, 9 rebounds, 7 assists, but also had 8 turnovers in defeat. Gasper Vidmar and Moerman combined to score Banvit’s first 10 points, before a pair of buckets from Johnson and a triple from Tolga Gecim opened 6-17 margin after 6 minutes. A three-point play from McLean snapped a 2-13 spurt, and started an 8-0 run for Milan, with Sanders and McLean doing all the damage. Milan got within a point, 18-19 with a three-pointer by Lafayette, but Fortson’s three in the waning seconds of the first quarter, and A.J. Slaughter’s triple in the second quarter made it 18-25. However, Sanders sparked another Milan run, with Lafayette hitting from long range as the hosts tied it at 25-25, and regained a 3-point lead on aggregate. Keith Simmons, Vidmar and Johnson put Banvit back in front, before five points from Moerman, including a three-pointer, increased the margin to 33-40. Banvit led by as many as 9 points after Simon and Slaughter traded triples, but Simon’s three-point play at the end of half made it 41-47 at halftime, meaning Banvit held a 3-point advantage going into the final half of the series. Banvit wasted little time after the break to push its margin into double digits. 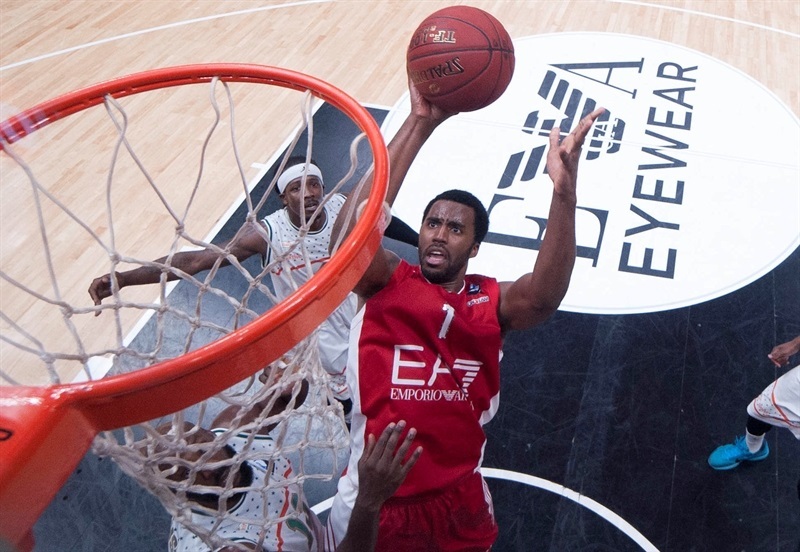 Simmons and Forston hit triples to make it 43-55 on the night, and a 9-point Banvit lead in the series. Sanders replied with a triple, and started the hosts’ run that also had Lafayette sink a triple as Milan closed within 55-57. 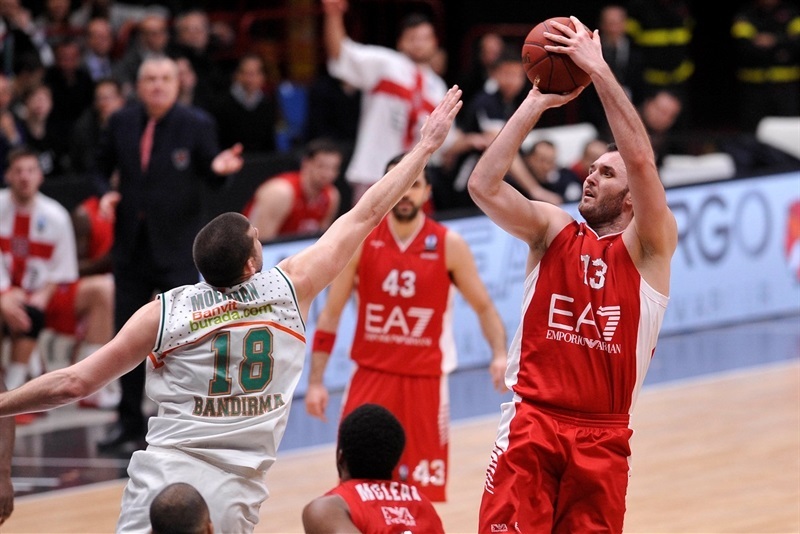 Baskets from Simon and Andrea Cinciarini made it 59-60 going into fourth quarter, and Mantas Kalnietis put Milan in front 61-60 after a minute in the fourth. Milan held the visitors to only a single field goal for almost 9 minutes before Johnson’s fastbreak basket. Teams traded leads as McLean and Johnson traded baskets, and Fortson scoring on a fast break gave Banvit 66-67 midway through the fourth. Sanders put Milan back ahead as baskets were few and far between. Jackie Carmichael and Cinciarini traded buckets to make it 71-69 with 2 minutes left, and Lafayette scored out of the timeout to open a 4-point margin on the night, and 7-point series lead for Milan. 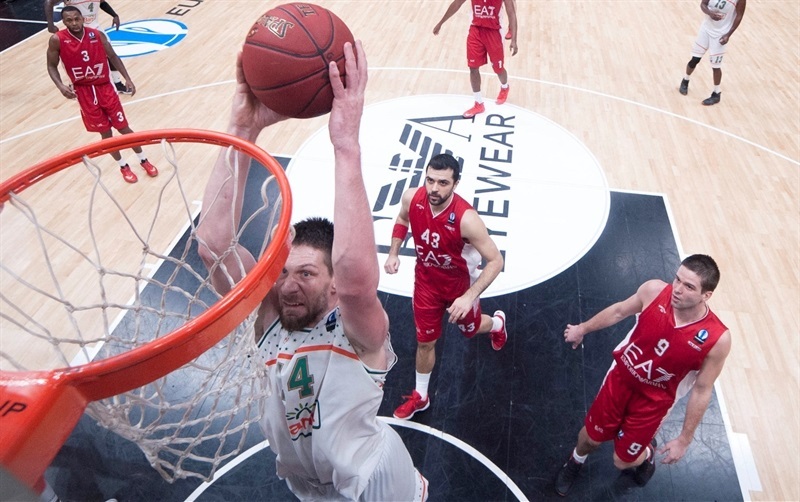 Banvit misfired a pair of triples on the ensuing trip down the floor, and Milan comfortably held on for a win and passage into the quarterfinals. "Honestly I was expectinga tough game. We did not start well.We came out a little jittery, as happens in decisive games like this. We gave up too many rebounds in the first half and we allowed them to shoot well. So the approach waswrong. Then we found energy and the fans helped us find the desirewe needed to win. In a difficult time, the crowd was the sixth man. 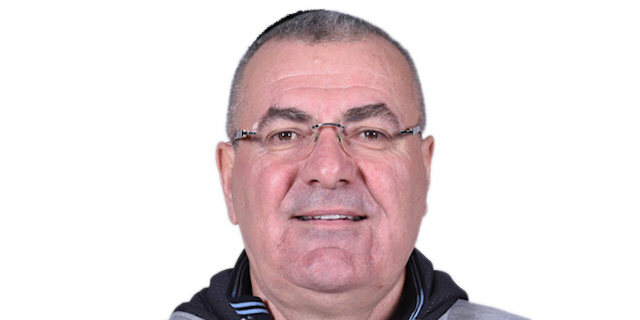 Nowwe will have Gentile available from Sunday and then Jenkins. "